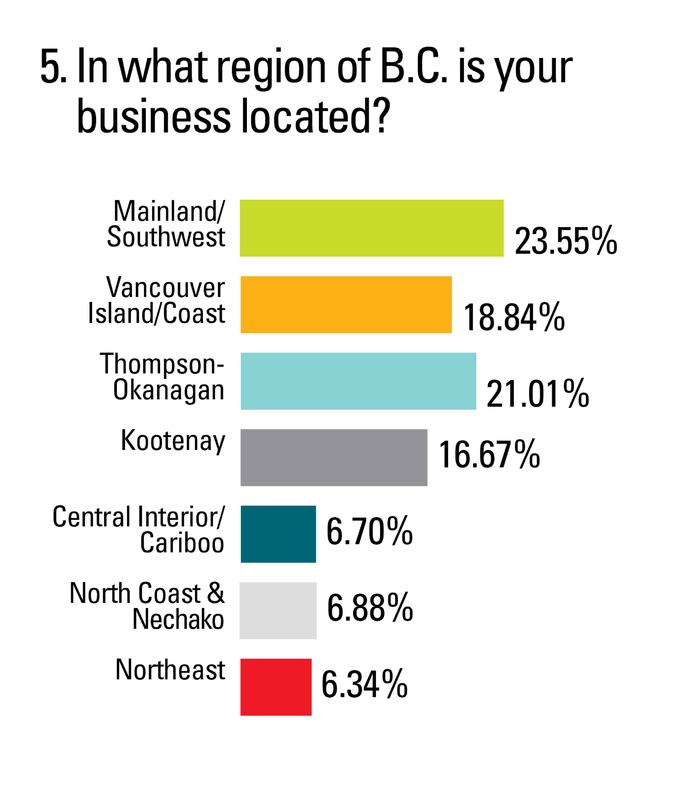 In advance of the May 9 provincial election, the BC Chamber of Commerce and BCBusiness magazine joined forces to conduct a survey of Chamber members. 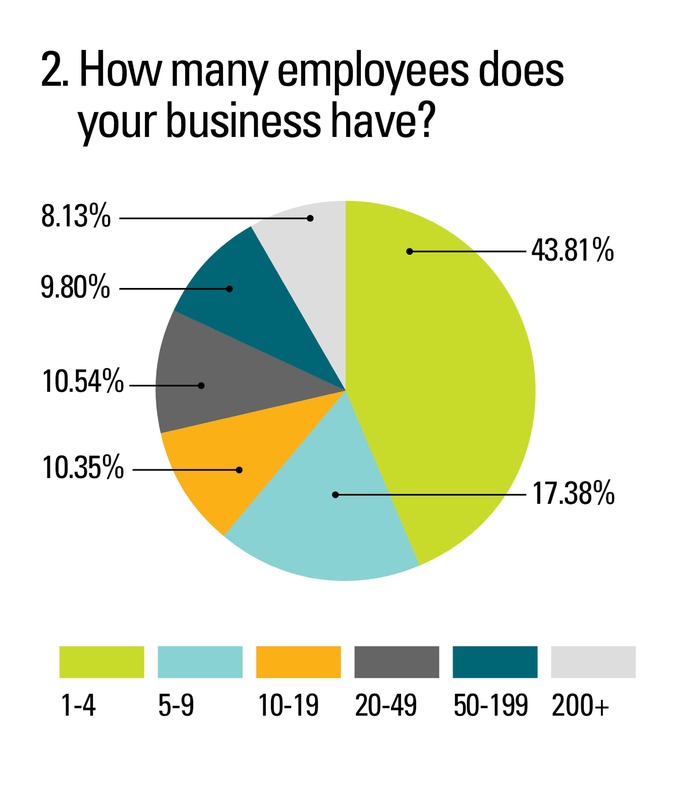 Among the questions we asked: What election issues matter most to you and your business? 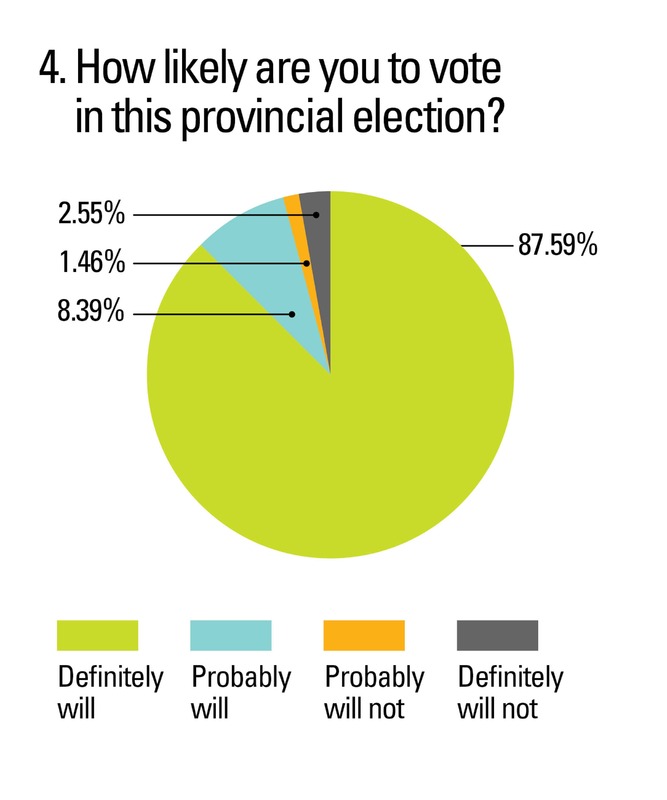 How should the next provincial government proceed on trade, resource management and more? Now that the results from more than 550 respondents are in, we’re thrilled to share them with you in three instalments. You can find Part 2 here. Thanks to everyone who made their voice count by participating, and stay tuned for more in the weeks leading up to the vote! The BC Chamber of Commerce network and its 36,000 members have been actively involved in the conversation about increases to the minimum wage. 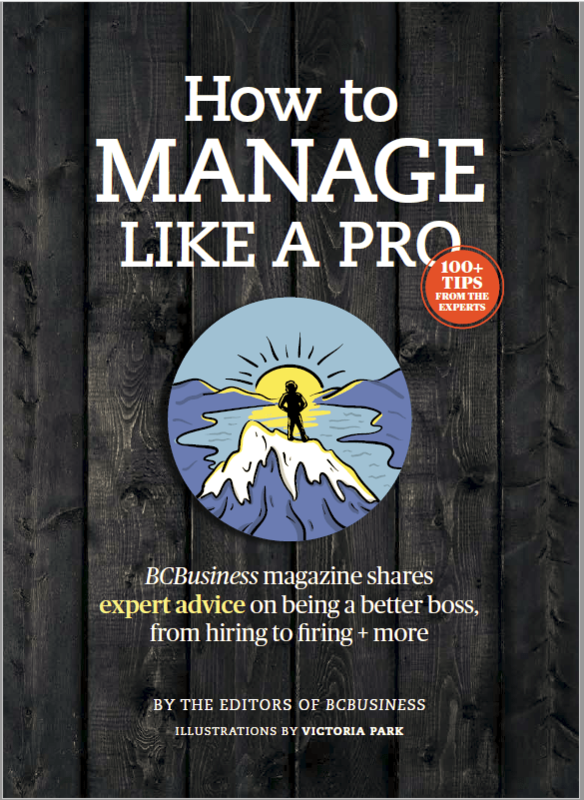 In 2015, the BC Chamber adopted a policy position, with a two-thirds majority, calling on government to peg any increases in the minimum wage to the Consumer Price Index (CPI). 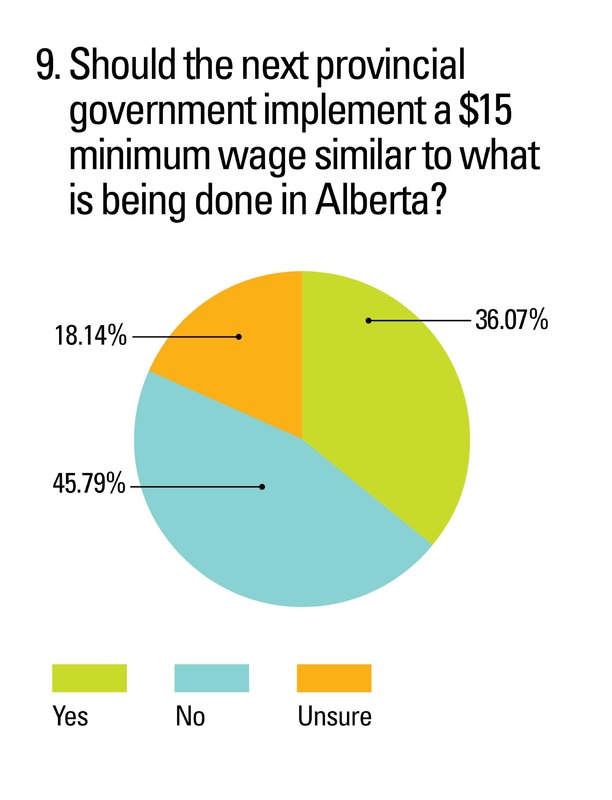 In the upcoming provincial election, the Opposition has committed to increase the minimum wage from $10.85 to $15 an hour (a 38 per cent rise) over the next four-year term, following Alberta’s lead. 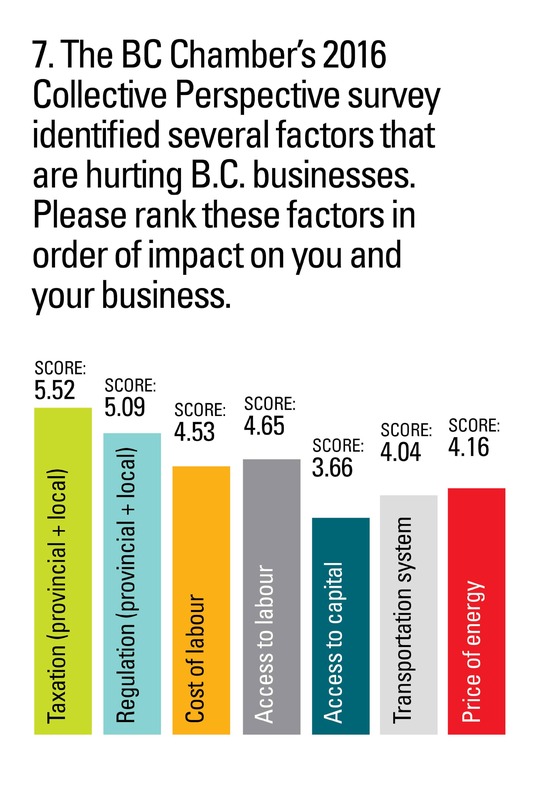 When business owners across B.C. 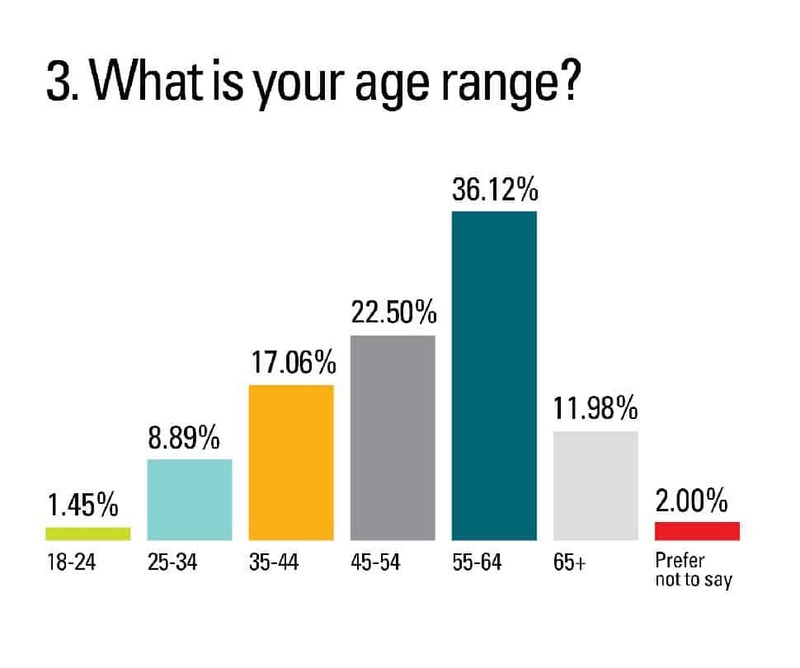 were asked what they thought about this increase, a significant plurality (46 per cent) did not support increasing the minimum wage to $15, while 18 per cent were unsure. The BC Chamber network has been consistent in its position on the minimum wage: business owners aren’t opposed to boosting the wage, but they want a predictable formula tied to inflation that allows for a gradual change over time. The B.C. government’s sustained efforts since 2001 to support tax relief has helped fuel our economic growth. B.C. is now a highly competitive jurisdiction across several key business tax indicators. 1. It penalizes businesses for investing in new machinery and equipment because they can’t recoup the PST. Alternatively, if they decide to not spend money on needed infrastructure or technology, their productivity is impacted. 2. The PST creates an uneven playing field for our businesses that operate internationally because the vast majority of our global competitors have access to the economic advantages of a value-added tax. At the BC Chamber’s 2016 AGM, our provincewide membership demonstrated strong support for the adoption of a made-in-B.C. value-added tax. 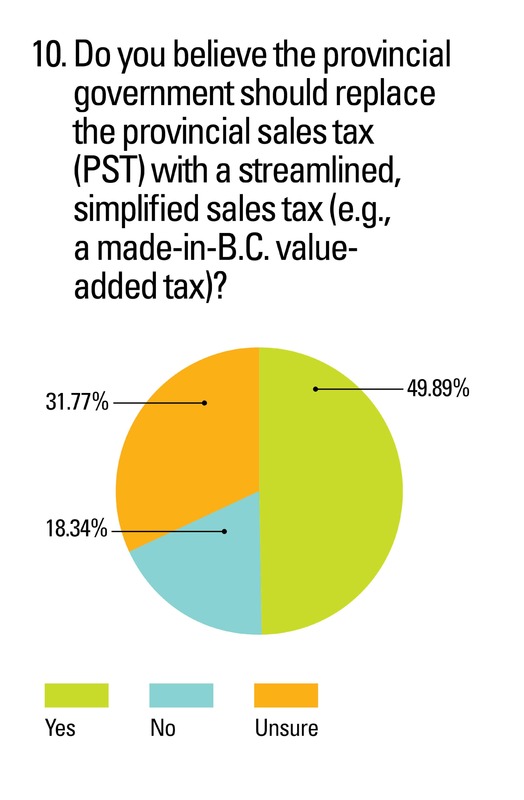 This outcome is echoed in our recent What’s on B.C.’s Mind Election Survey, with most respondents indicating their support for a VAT. In B.C. and around the world, the value-added tax system is recognized for its positive impact on competitiveness, investment and productivity. If the B.C. government were to implement only one change to our system of taxation, after conducting a fulsome dialogue with British Columbians, replacing the PST in favour of a made-in-B.C. value-added tax would have the greatest impact on fueling growth in our province.